The Woodberry Inn (formerly The Woodberry Down) was built in the 1920’s as a gentleman’s residence for Mr Southwell the owner of the former Bridgnorth carpet factory on the River Severn. The Woodberry Inn is owned by two local families; Chris and Wendy Yates and Keith and Jenny Alderson. The project of bringing the building back to it’s former glory took 18 months to complete and the Freehouse was re-opened in August 2015. The venue has been handsomely remodeled throughout, with oak flooring and leather seating whilst retaining the original features and charm of the building, too become a much-loved asset to Bridgnorth. Our ethos is to serve a ‘Farm to Fork Menu’ as our beef is reared at Keith Alderson’s Morville farm which is supplied through his local butchery business to the restaurant. 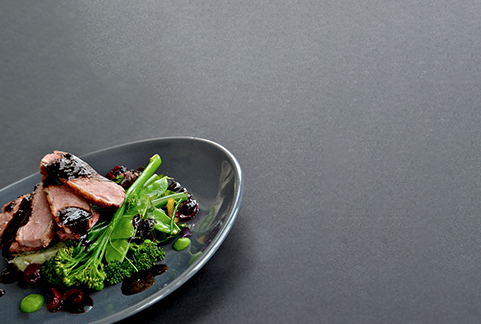 We offer locally sourced seasonal produce and real ales served in stylish surroundings. 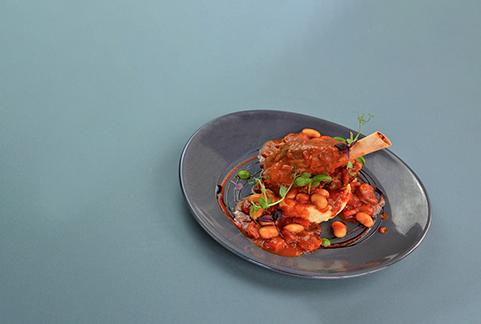 This unique gastro pub also features nine individually styled en-suite rooms for its guests along with on-site parking and free wifi throughout the building. This makes The Woodberry Inn a perfect location for those looking to seek out something new or while away an afternoon in the sumptuous surroundings. We look forward to welcoming you to The Woodberry Inn. Please note that we do welcome dogs in all of our outdoor areas only. We are delighted to inform you that The Woodberry Inn has been given a rating of 9.3 from its guests in conjunction with the 2018 Recognition of Excellence award! We’d like to take this opportunity to thank all of our guests for their positive feedback and we look to improve even more in the future! At The Woodberry Inn we take pride in our food, as we want to make sure our diners are receiving the best food possible. To ensure this we only use fresh produce for all of our dishes throughout the entire menu you can be sure the all ingredients used have been hand picked for quality and flavour. If you have any questions regarding any of our dishes or any dietary requirements we would be happy to discuss. Keith Alderson farmer and local butcher provides our chef’s with the best quality meat. Working closely with ‘Keith Aldersons’ allows us to take quality cuts of meat and accompany them with seasonal produce and hand-picked wines adding to the dining experience we offer here at The Woodberry Inn. The Woodberry Inn, is open from 11am until 11pm Monday to Sunday – with food served throughout the day. Had a late lunch after work on a Friday. First impressions are great, the place looks really good with the main area split between bar area with seating and the restaurant. First impressions are great, the place looks really good with the main area split between bar area with seating and the restaurant. The food was very good, all fresh and cooked on site. Not trying anything too fancy, just good food cooked by someone who knows what they’re doing! Marc. Visited here on a Tuesday night as we wanted a nice drive to somewhere new for a nice meal and we were not disappointed. All members of staff were very pleasant, friendly, and efficient. We shared a starter and a dessert and there were decent size portions. Our main meals were lovely and couldn’t fault them. The steak was cooked to perfection and the chips were really nice. Overall we left happy and will be visiting again. Thanks. J Parton. The Woodberry Inn is a unique Freehouse offering accommodation set in the heart of Bridgnorth. 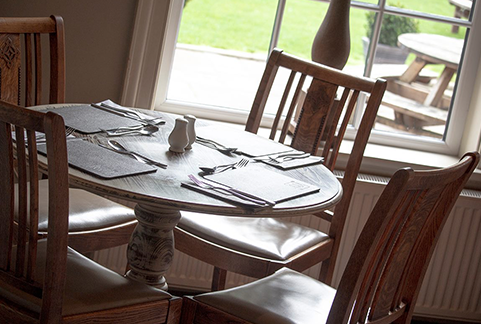 Our restaurant offers stylish surroundings for diners to enjoy real ales and seasonal local produce in the restaurant. We also have 9 fully furnished rooms providing bed and breakfast which is perfect for business trips or if you are just paying a visit to our beautiful town.